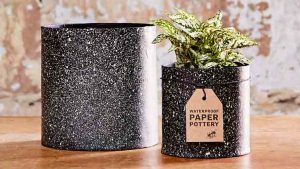 Eco Max Paper Pottery is a contemporary range of designer pots and accessories handmade from paper. 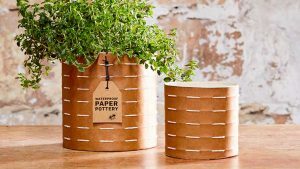 Lined with natural latex rubber and coated with a protective water repellent layer on the outside, Paper Pottery is completely waterproof. Paper Pottery is ethically hand-made in Sri Lanka using only sustainable and recycled materials. This unique range is available in a variety of sizes, with the plant holders designed to fit the Australian standard plastic pot used by growers (100ml, 150ml, 200ml). 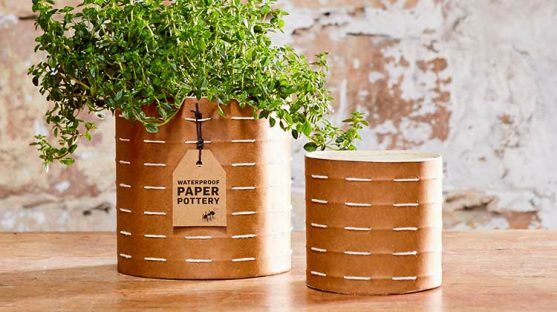 Paper Pottery is waterproof, unbreakable, light weight, plastic-free and beautifully versatile. Florists – waterproof so ideal for floral arrangements. Nurseries- a decorative pot for gift giving. Cafes- as an unbreakable planter for table decoration. Event Planners- light-weight making it easy to transport. In the Home- as a child-proof vase or container. Waterproof Paper Pottery made from natural latex rubber - plastic free and biodegradable. Pots are designed to fit the Australian standard plastic pot used by growers. Waterproof Paper Pottery made from natural latex rubber - plastic free and biodegradable. 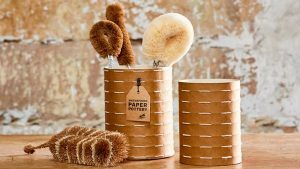 Ethically handmade in Sri Lanka our Paper Pottery Toilet Brush Holder is a plastic free alternative to pair with our Eco Max Toilet Brush. This unique design is made from paper lined with natural rubber, so that it is completely waterproof internally with a protective water repellent layer outside. Weighted at the bottom, for stability. Paper Pottery is unbreakable and a beautiful addition to bathrooms. Ethically handmade in Sri Lanka our Paper Pottery Toilet Brush Holder is a plastic free alternative to pair with our Eco Max Toilet Brush. This unique design is made from paper lined with natural rubber and is completely waterproof. 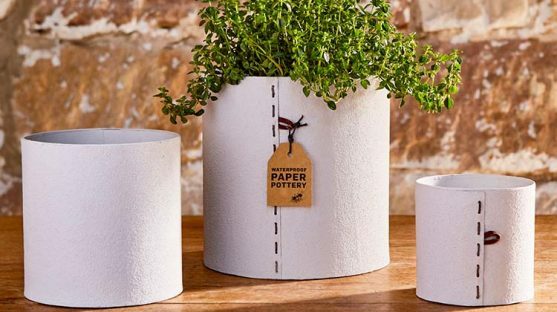 Paper Pottery is unbreakable and a beautiful addition to bathrooms.